There were no illustrations when the Micro Four Thirds concept was announced, so we had to draw our own. 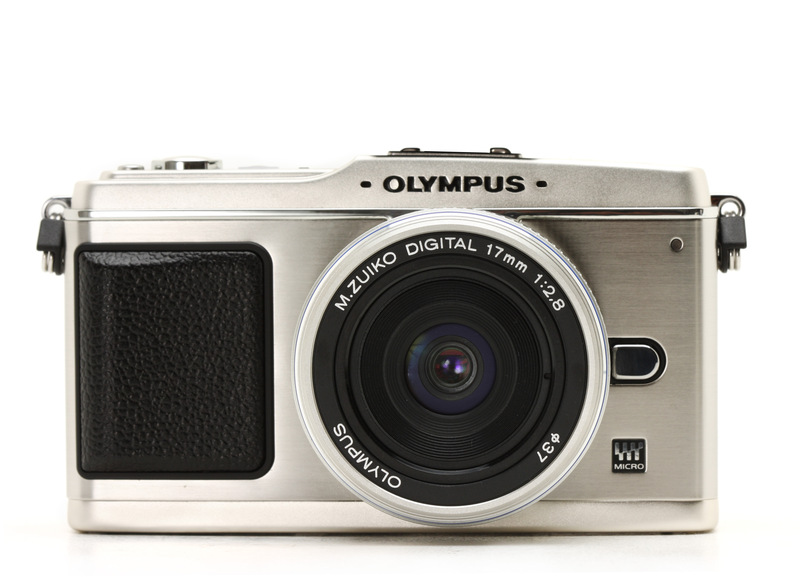 Ten years ago this week, Panasonic and Olympus announced the Micro Four Thirds format. And in doing so, prompted us to use the term ‘mirrorless’ for the first time. The rather corporate press release didn’t necessarily spell out just how important a development it was. The two camera makers thought they were announcing a new mount, while trying not to upset existing Four Thirds customers. What they were actually doing was changing the direction of the industry. With hindsight we can see that Panasonic and Olympus were heralding the start of the mirrorless era. 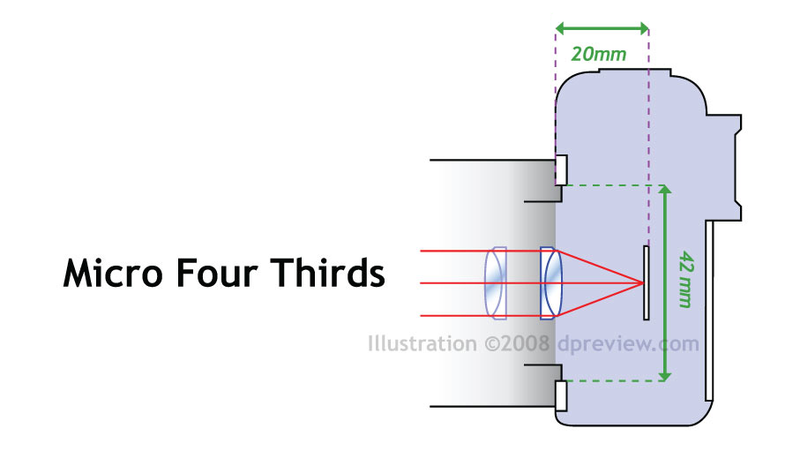 The idea of removing the mirror from a DSLR wasn’t new: Pentax created this design study as far back as 1997. Phil shot this image when it was displayed at Photokina in 2006: still two years before Micro Four Thirds was announced. 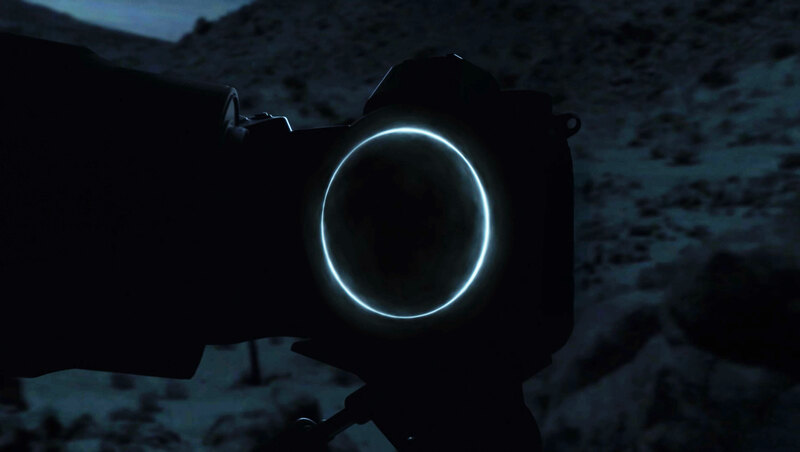 For the first few hours there were no illustrations available, so we traced the outline of an existing E-series DSLR and scaled the other elements of the camera to show roughly what a mirrorless version could look like. It would be another six weeks before the public got to see the first Micro Four Thirds camera. The Panasonic Lumix DMC-G1 did everything it could to downplay how radical it was. It looked a bit like a Canon Rebel XSi / 450D that had shrunk in the wash but, more significantly, it also operated a lot like an existing DSLR. Critically though, it worked in live view as well as through the viewfinder. Or, more to the point, it worked identically, regardless of whether you used the viewfinder or the rear screen. Panasonic had clearly been working on the camera for a long time: I’m not sure I can think of another ‘version 1’ product that’s worked so well from the word go. 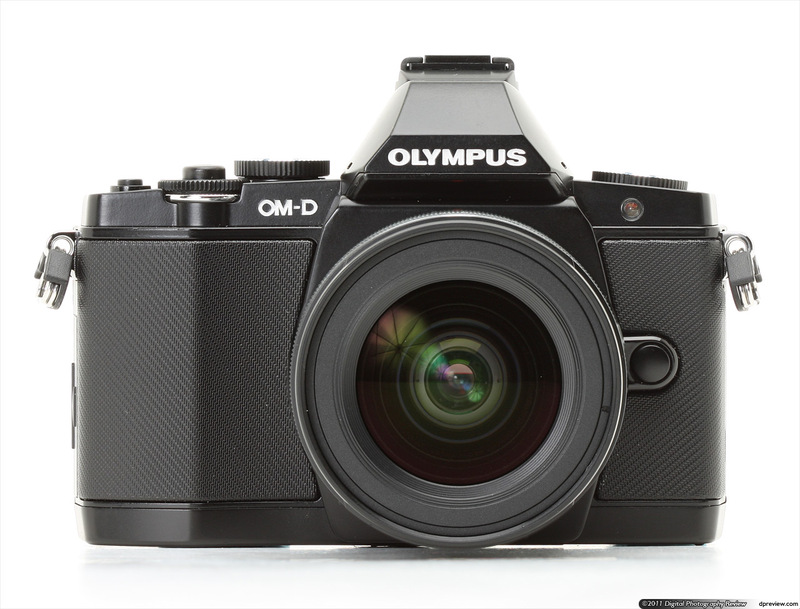 And yet 10 days later Olympus managed to upstage the G1. With a block of wood. Sure, it’s much smaller that the real PEN would be and looks nothing like the final design, but as a placeholder to say ‘we’re doing this too,’ it was a powerful one. I remember hearing that Olympus was going to unveil a mockup of it first Micro Four Thirds camera as soon as I arrived at the Photokina trade show, straight from the G1 launch. 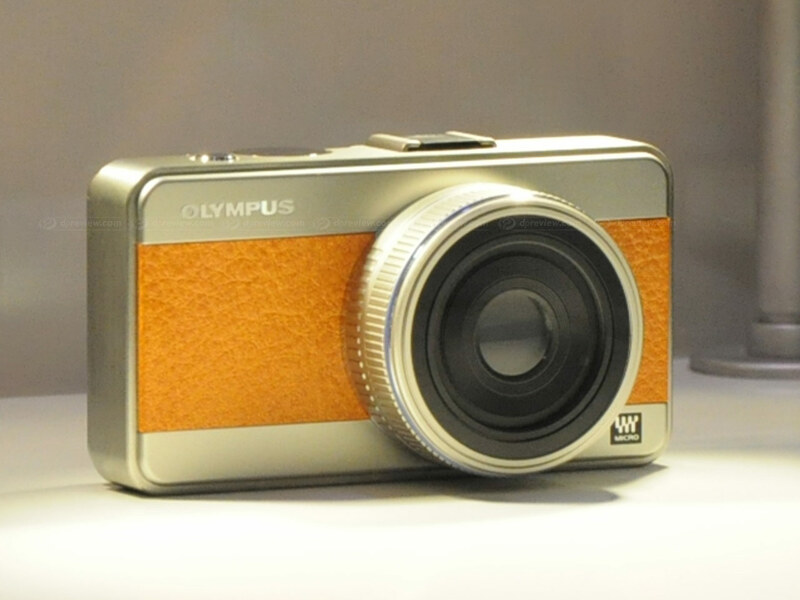 I raced over to the Olympus stand and begged, harassed and cajoled our press contact to let me get a shot of it without a glass case covering it. 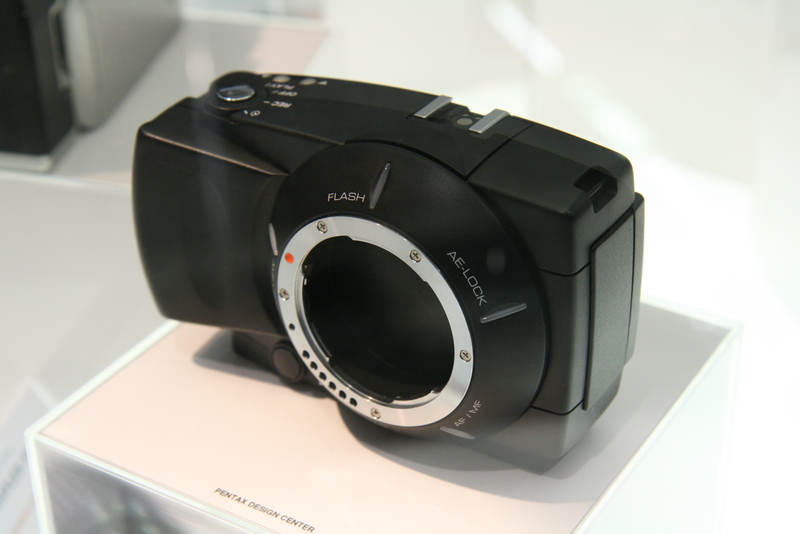 The GH1 looked, to us, like a G1 but with the video function now working. Did we miss the clues as to what the ‘GH’ line would deliver or did they only start to emerge in the later models? 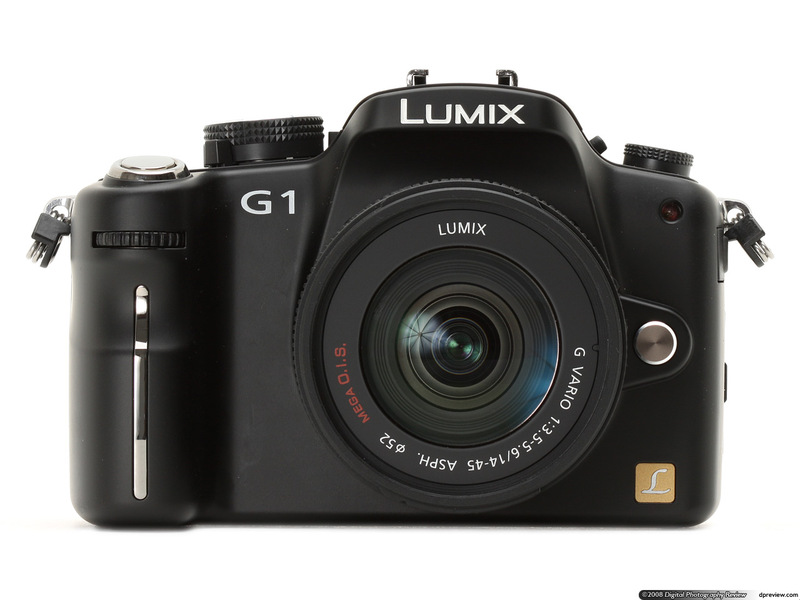 Yet, while all this was going on, Panasonic would quietly begin a second revolution with the release of the 1080-capable GH1. It’s strange to think back now and realize that Nikon and Canon introduced HD video to DSLRs before those capabilities came to mirrorless (the 720p-shooting Nikon D90, also launched at Photokina 2008, was completely overshadowed by the EOS 5D Mark II’s ability to shoot 1080 just a few days later). But I don’t think we were alone in not seeing just how significant the GH line was going to become for filmmakers, when high quality video arrived in mirrorless. When it finally arrived, the E-P1 was really pretty. Yes it was essentially an E-620 in a retro-styled SPAM can (I kept looking for the little ‘key’ for peeling the tin open). Yes, the initial two lenses were unacceptably slow to focus. But, coming almost two years before Fujifilm’s X100, it offered the most image quality possible from such a small (and oh-so-stylish) package. We all wanted one. I think everyone in the office decided they were going to buy this beautiful little camera, regardless of its flaws. Then Panasonic came to visit, with Phil and Simon emerging from the meeting with the words “you might want to wait for a bit.” They’d just seen the GF1. 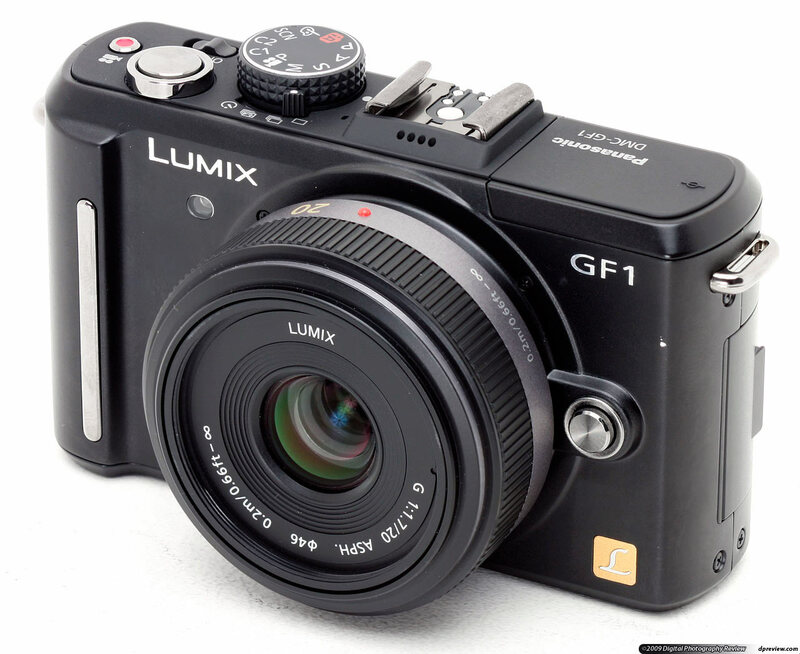 Just over a year on from the announcement of the Micro Four Thirds system, Panasonic unveiled its third mirrorless camera: the DMC-GF1. Or “The world’s smallest and lightest digital interchangeable lens system camera with a built-in flash” as they snappily put it at the time. I’ve lost count of how many camera journalists I’ve met who said they own or owed a GF1: it was exactly the small body, big image quality, plenty of control camera we’d all been waiting for. Except Panasonic thought they’d made a camera for upgraders, so spent the next couple of years taking the buttons away to make it easier to use. Still, we eventually got a spiritual successor in the DMC-GX1. 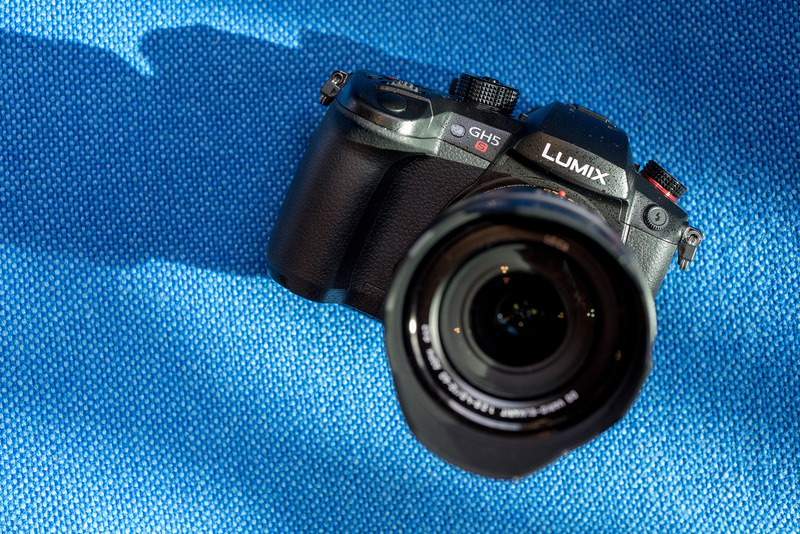 The early running made by the Micro Four Thirds system nearly saw it get adopted as the generic name for all mirrorless cameras (it would be over a year until Samsung introduced the second mirrorless system, with its NX10). As you might expect, the existing forum favorite: EVIL (electronic viewfinder, interchangeable lens), wan’t exactly embraced by the industry. The almost painfully literal ‘Compact System Camera’ faired a little better, but arguably isn’t the best way to describe the far-from-compact GFX 50S. 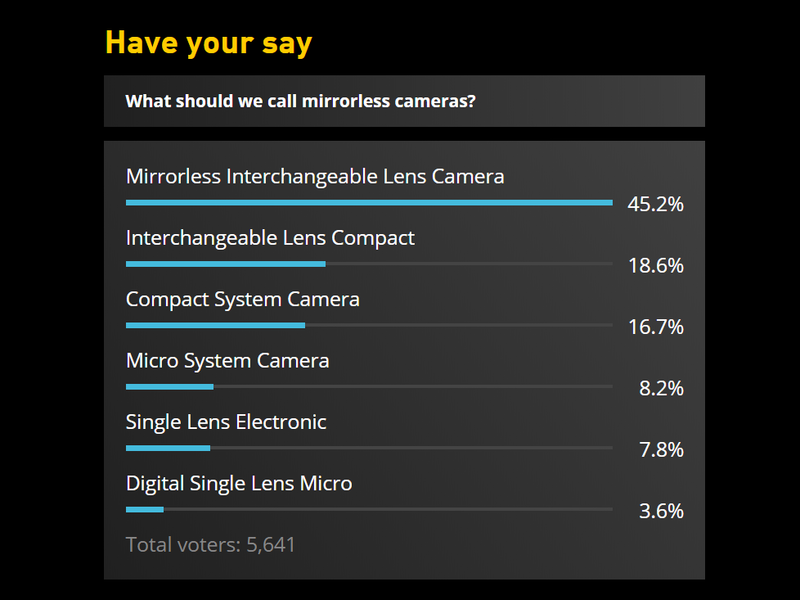 We stuck with ‘Mirrorless’ as shorthand for ‘Mirrorless Interchangeable Lens Camera,’ a decision validated by a reader poll in early 2011. 45% of readers chose MILC, making it nearly two-and-a-half times more popular than ‘Interchangeable Lens Compact,’ which polled second. The first great mirrorless camera? The Olympus OM-D E-M5 is the first example I can think of that was every bit as good as its DSLR peers. Only smaller. And prettier. A lot has changed in the decade since that first hectic year of Micro Four Thirds launches. Sony, Fujifilm, Canon, Sigma and even Leica have introduced their own mirrorless systems. Samsung, Nikon and Pentax have all had a go, only to give up. 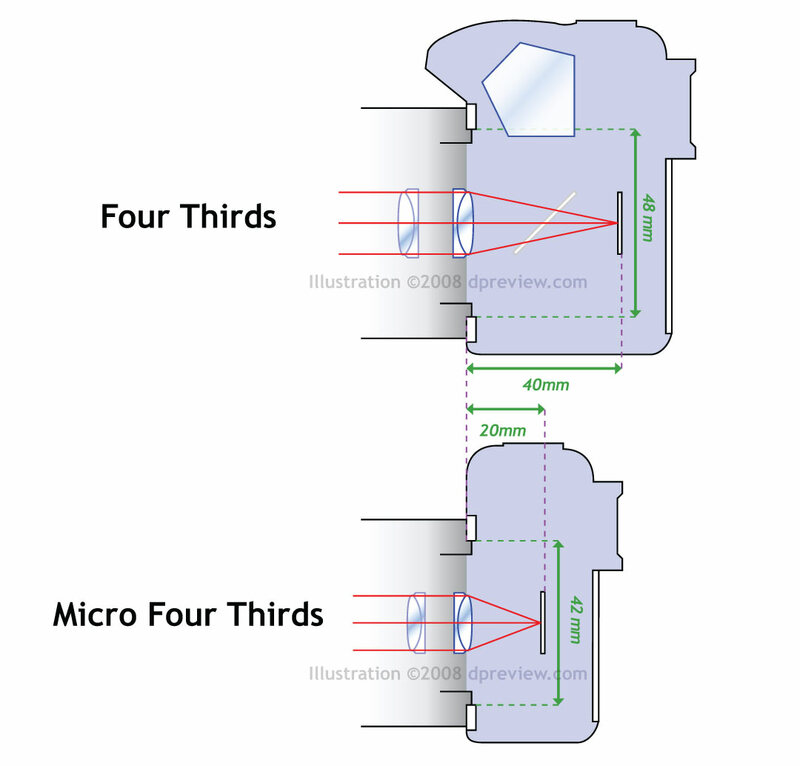 Every manufacturer has made some lenses that are terrible at focusing before recognizing that low-inertia, single focus element designs are usually the way to go. Pretty much every camera maker has tried to chase an upgrader crowd (from compacts or smartphones) that turns out not to want cameras at all. Panasonic’s Micro Four Thirds lineup includes the most capable video cameras we’ve yet tested. All the while both Panasonic and Olympus have continued to build out one of the most comprehensive systems of modern lenses. And improve their cameras: unlike the E-P1, the PEN-F is as good as it is pretty. 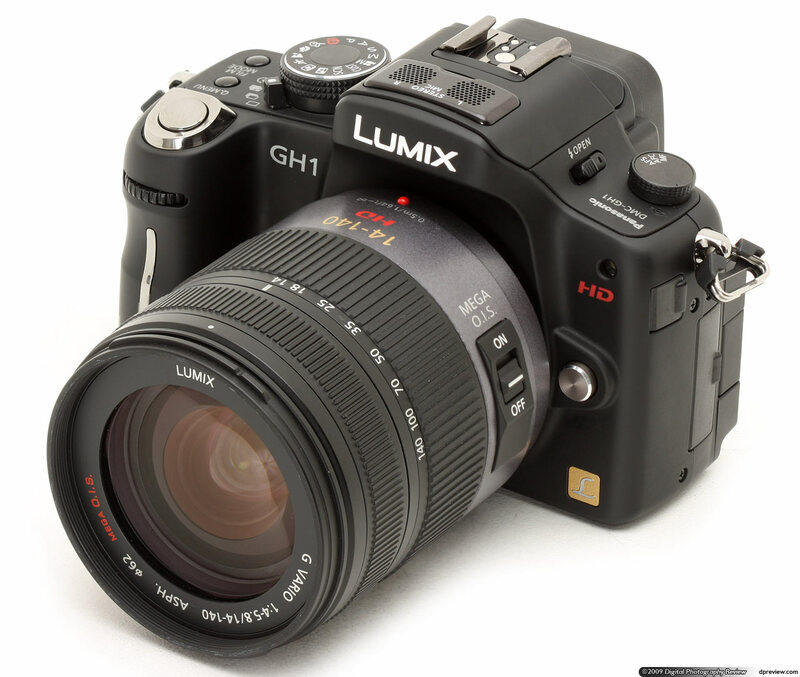 Meanwhile the Panasonic GH5 and GH5S define the current high water mark for video in stills/video hybrid cameras, and camera such as the E-M1 II have helped dismiss the idea that DSLRs are inherently better at autofocus. The move to mirrorless was a big step for both companies: moving on from a system they’d both spent a lot of time and money on, and that had developed a passionate following. But I think the last ten years has vindicated that decision. More than anything else, the expectation that Canon and Nikon – the two companies most committed to their DSLR legacies – are going to introduce full-frame mirrorless systems, confirms that Panasonic and Olympus were right to turn their backs to the mirror and look to the future. Ladies and Gentlemen, let’s raise our glasses to Micro Four Thirds: the little revolutionary.